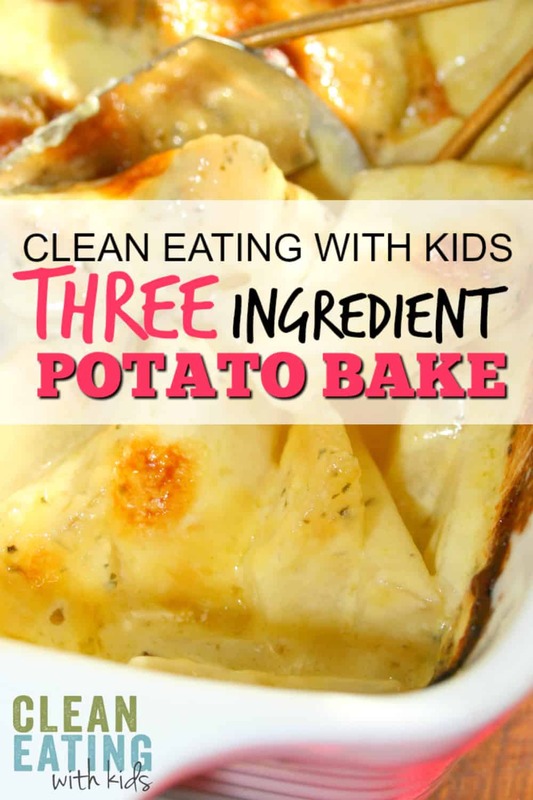 Looking for an easy, REALLY tasty potato bake recipe? 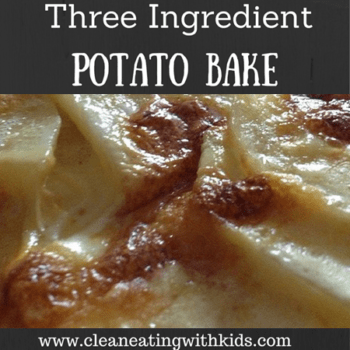 This 3 Ingredient Potato Bake Recipe is so easy – Even my husband can make this one. That is saying a lot! 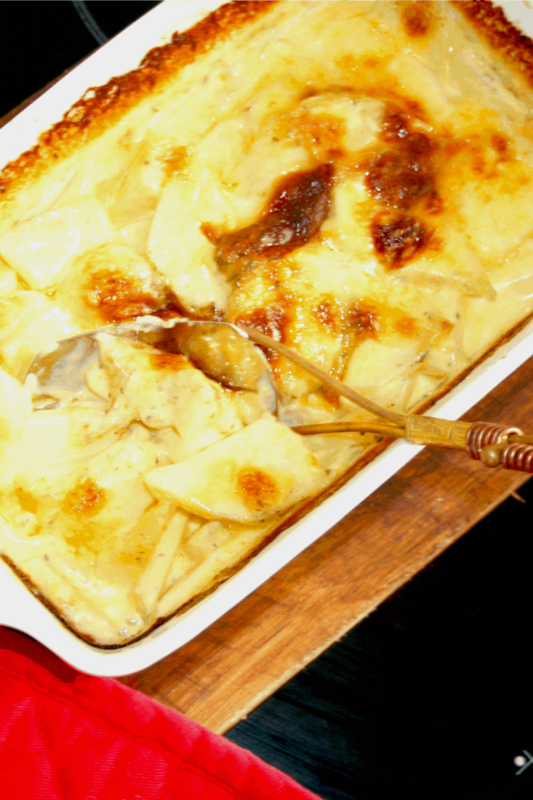 If I need a meal to stretch for an unexpected crowd, this is the exact potato bake I make. I can prep in a couple of minutes and 40 minutes later (exactly) we have a delicious, creamy dish on the table and it looks like I went to a whole lot of extra effort. The three ingredient part can be our little secret. The best part about this recipe is that you can take it from a standard Vegetable side to a full Weeknight Family dinner simply by adding a few things to it. For more fast family meals for busy weeknights? Get my free list of 12 Fast and Healthy meals ideas for Busy Families below – and never, ever be stuck with the ‘what shall I make for dinner’ dilemma again. 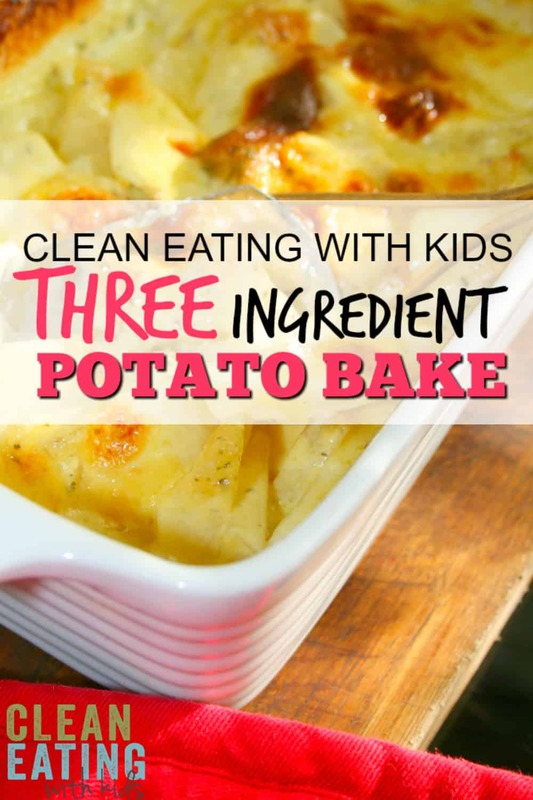 Clean Eating Three Ingredient Potato Bake – Creamy and delicious! Always a hit with the family! Preheat Oven to 180 degree Celsius or 350 degrees Fahrenheit. Lay potatoes in oven proof bowl. Sprinkle over Stock Powder and pour over cream. Mix together well. Bake for about 40min until top is golden and potatoes tender. Serve immediately.